How rare are the Nike Gretzky ultrafil jerseys? not the Airknit version. Did Wayne or the team ever wear the ultrafil back in the 80's or are they a complete reissue? Who's the experts on the Nike Oilers jersey?! Oilers Nike jerseys were always mesh; going all the way back to 1979 when they joined the NHL. Anything you see that is ultrafil or air-knit is a reproduction(obviously). They're usually pretty nice looking but they're not on-ice accurate. Weiner Wayne never wore ultrafil or air-knit while with the Oilers. It was Sandow SK mesh from 1979-80 until 1981-82 and then Nike mesh until he left. Ahh Mesh is the legit one. Good thing I asked. When did they make the ultrafil versions? I have my eye on a ultrafil one and its not a accurate custom job. Think I'm wasting my time and $$$? Weiner Wayne never wore ultrafil or air-knit while with the Oilers. It was Sandow SK mesh from 1979-80 until 1981-82 and then Nike mesh until he left. Ooh, good catch. I thought that they used Superfil for at least one year but couldn't find anything so I just assumed. I believe they were put out in the mid 90s (not sure exactly when), and weren't they part of some Upper Deck promo or something? Anyways, I'd consider them fairly rare. They're desirable beause they're NIKE (and Gretz wore NIKE), and people tend to like ultafil jerseys. Those who don't know any better are willing to spend the money to get an 'authentic NIKE', not knowing that Gretz never wore an ultafil version. They pop up often enough, typically between $300-500. I dont' know that I've ever seen an auction run, though, only buy-it-nows. Anything good is buy-it now.. I think I will jump on it. Wrong job on it or not. the jersey you are referring to is a jersey made by nike to commemorate gretzky retirement they were released here in toronto as i recall at the hhof store, i was able to pick up a few at the price of 170, unfortunately nike did not have a licence to produce oiler jerseys and they were pulled from the store,and i was told the rest were sent back. i think they were out for only a couple of weeks. I just got my hands on one. It's really, really nice. The coolest part is that the Nike logo and swoosh are on the left lower hem. I'll see if I can get some pics on. Interesting story behind those replicas I've always wondered why I never seen them for sale online for retail. Prices they go on Ebay are too high for me. Good that you were able to get them for their retail price when they came out. Why is the customization considered wrong? Are the numbers too small on the back? I found one on eBay 2 years ago. I've been looking for one for well over 10 years. I still can't believe I own one. They're extremely rare. Paid $800 for it. Worth every penny. Trevs with the post resurrection! Wow, over 5 years old. 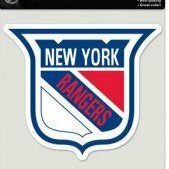 I bought a Gretzky Jersey off of Kijiji a week ago, any idea what to make of it? The one you have doesnt seem like the mesh one they wore back in the 80s. My jersey looks more mesh like the ones they wore. You can tell the difference between the 2 jerseys. The ultrafil jerseys were a Nike re-issue in the mid 90's. 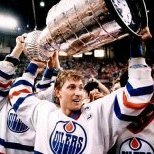 Also any experts know of a few "nike" Gretzky's that have a mysterious past? I own 2 and always wondered the story behind them. Unless you post detailed pictures of yours (e.g., collar area, front crest, Nike rear hem logo, and the jersey lettering, it’s not likely anyone can help you regarding the origin of your jerseys.